Tri-lingual couple that of course love caring for pets! 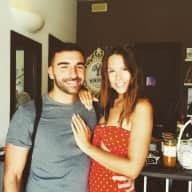 We're Andrea and Lucy, English, Spanish and Italian speaking active couple, he’s the Italian and I’m British one, we currently live together in Spain and share our home on Airbnb, proud of our ‘SUPERHOST’ title. In the past we have taken care of many friends and neighbours’ pets, currently we often look after our neighbours 8 rescue cats, our friends dogs regularly stay a night or two at ours whilst they make overseas short trips. I have spent my whole life taking care of horses therefore had many horses of my friends stay with me. Our current lifestyle involving frequent travelling doesn’t allow us have pets of our own, we both miss this aspect from our lives! Having the opportunity to take care of your furry/ feathered friends, is just perfect for us! I grew up in a small town in Tuscany, Italy, with both dogs and many cats, and a vegetable garden large enough to feed half the town! Over the year’s, I must say cats have won my heart as my favourite pet. I'm a keen grower of kitchen plants: herbs, chillies, garlic etc. so you can be sure that your vegetable garden will be well watered and your house plants will be tended while your away. My interest also like Lucy is in design, I have a degree in industrial architecture and a Masters in product design, I work remotely online and also teach graphic design part time at our local design school, I’m particularly interested in environmental designing and refuse to work with companies that produce products in plastic. Teaching is a great way of passing on my knowledge the younger generation, highlighting the importance of the environment, which is now important than ever. When I’m not designing, you’ll find me on my bike, in the kitchen, on the road in my campervan looking for an adventure or relaxing at home with a good book. Extra info: I’m 35 and have a clean driving license, and tri – lingual. I grew up on a farm in Suffolk where we had plenty of room to extend our family with furry and feathered friends and my love for animals continues into adulthood. I’m an interior designer, but interested in anything creative or artsy, I’m currently teaching myself some new ‘design’ programs and intend to spend some time doing this whilst house sitting. I’m also constantly trying to improve my Spanish and Italian and like to spend time reading or watching movies in these languages. I love to cook fresh seasonal dishes and try new recipes inspired by our travels and will enjoy trying out some local food and recipes. Extra info: I’m 27 and have a clean driving license. Let’s face it, who wouldn’t want to?! It allows us to have comfortable home where we can design from our laptops a few hours a day, chill with a book curled up with a fluffy friend on our lap and explore the local surroundings whilst walking your dog…etc. 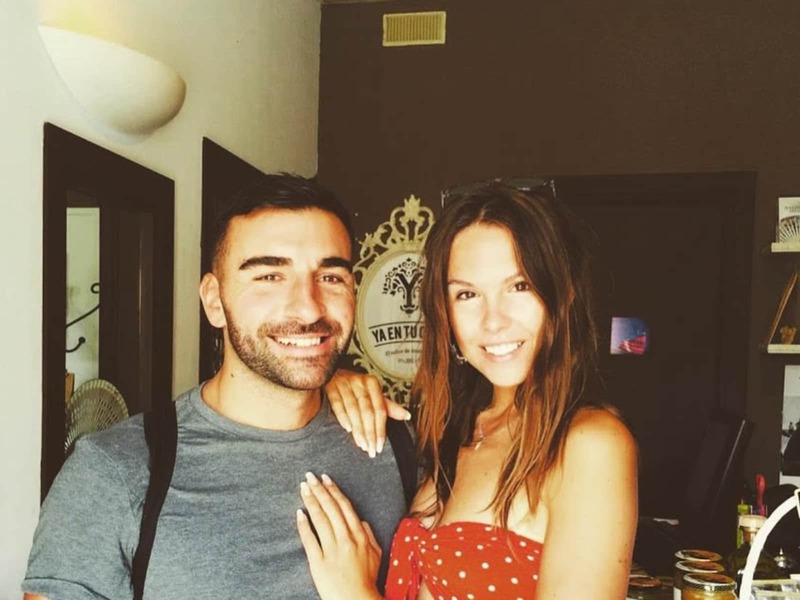 We believe that house sitting is the most authentic way of exploring a new area, meeting locals and making new animal friends along the way, it allows us to immerse ourselves in new cultures and environments in an authentic way, and of course provides constant inspiration in our field of work. This will be our first experience with THS but we’ve had many lovely experiences looking after pets of friends and neighbours in the past. Growing up on a farm, there’s not many pets I haven’t cared for, from cows through to dogs and right down to guinea pigs, and Andrea grew up with cats and vegetables! Having a home ourselves now in Spain, we have a lot of respect for other people's belongings and their individual way of life. As we work from home, we will be keeping your animals company and guaranteeing your home is secure. I think you gathered by now that we are animal-lovers, and will give your beloved pets all the care, attention and fuss that you would wish for. If there are any special requirements such as medication or visits to the vet, we can take care of that. Old or infirm pets are not a problem for us; puppies are also not a problem, we are happy to help train them. We are happy to keep you updated with regular emails, although some people prefer to just forget about everything, knowing that all is well back at the ranch. We look forward to hearing from you and setting up a Skype call or whatever you wish. Lucy and Andrea are the perfect sitters! I live together with seven cats, so it was a great relief, when I go away, that they were good taken care of! Lucy and Andrea were sure to answer my messages when I wrote them, sent me pictures and made sure the cats were fed on their regular schedules. They also kept everything clean and were happy to "count" them when I asked them to, to make sure no one of them had been left in any cupboard, as it has happened to me. I only have great words for them! Lucy and Andrea are a very reliable & friendly couple. They have plenty of energy and like to be busy. Lucy grew up around horses and is very knowledgeable in all aspects of their care. They are both real animal lovers and this shows. I wouldn’t hesitate in recommending them both.